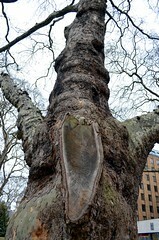 I'm trying to visit all of the trees in Time Out's The Great Trees of London and so far have attempted to visit three. 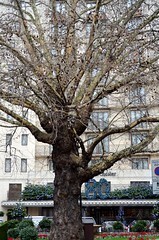 I also visited the St James's Indian Bean Tree, but it had been cut down. Maybe this would be a more sensible thing to do at a different time of the year. Looks like the one you found is much larger!